Looking at replacing your water heater but don’t know if it is worth it? Considering new energy-efficient windows? 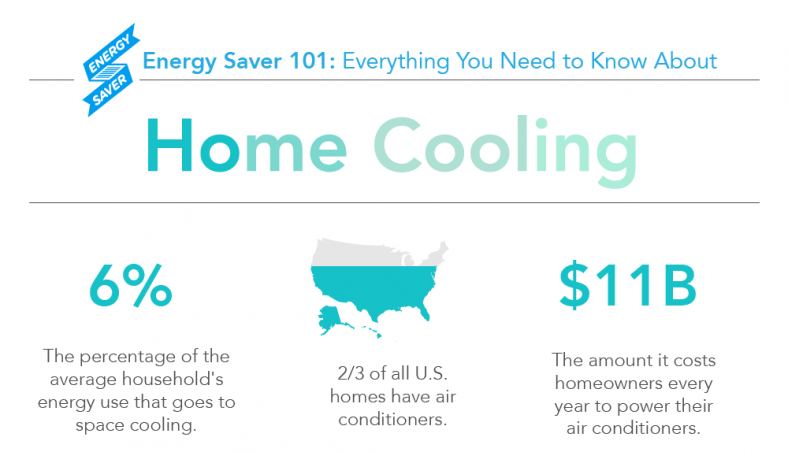 Before making individual efficiency upgrades, it’s important to know how your home uses energy. A home energy audit is the first step to saving energy and money. Sometimes called an energy assessment, a home energy audit helps you learn how you use energy, determine where it’s being wasted and prioritize your efficiency upgrades. Making energy efficiency upgrades identified in a home energy audit can save 5-30 percent on your monthly energy bill while also ensuring the health and safety of your house. During a professional energy audit, an energy auditor analyzes your energy bills, completes visual, health and safety inspections, and may use special equipment — such as a blower door and an infrared camera — to detect sources of energy loss. 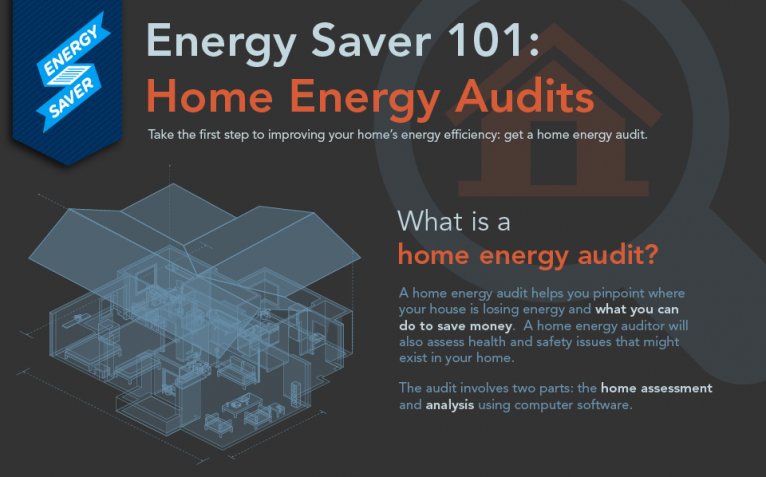 Our new Energy Saver 101 home energy audit infographic gives you an idea of what energy auditors look for and the special tools they use to determine where a home is wasting energy. Based on the data collected, an energy audit will provide you with a comprehensive home energy report that shows which energy efficiency upgrades are best for your home and your potential energy savings. 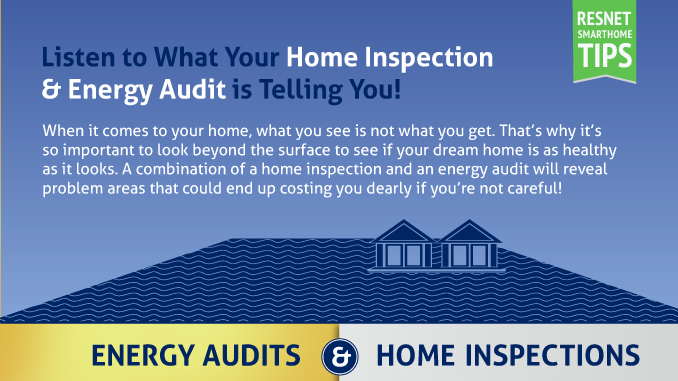 Learn how to find a certified energy auditor and if your state or local utility offers free or discounted home energy audit. And be sure to look for a Home Performance with ENERGY STAR participating contractor — they’re specially trained to conduct a whole-house assessment and help you determine how efficiency improvements will work together. While not as thorough as a professional home energy audit, you can conduct your own simple home energy audit. A do-it-yourself home energy audit — or walk through — can help you pinpoint some of the low-hanging fruit when it comes to energy efficiency upgrades. If you’re looking to see how much you could save by making certain upgrades, check out Home Energy Saver, a free online home energy audit tool. Remember, the home energy audit is only the first step to cutting your energy bills. Making the recommended energy efficiency upgrades is what leads to energy savings.